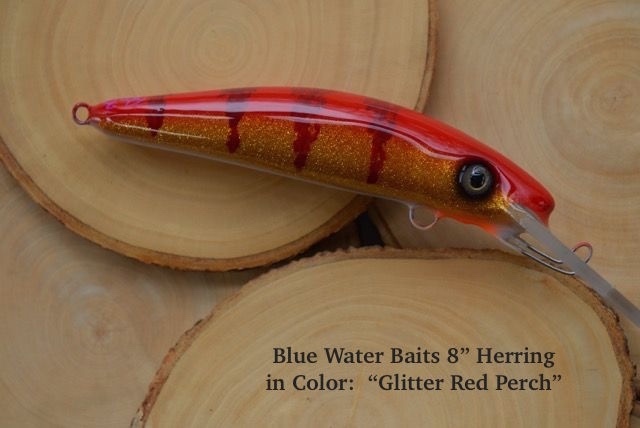 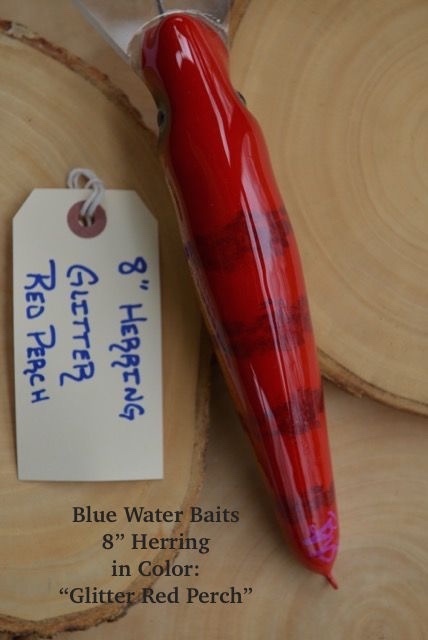 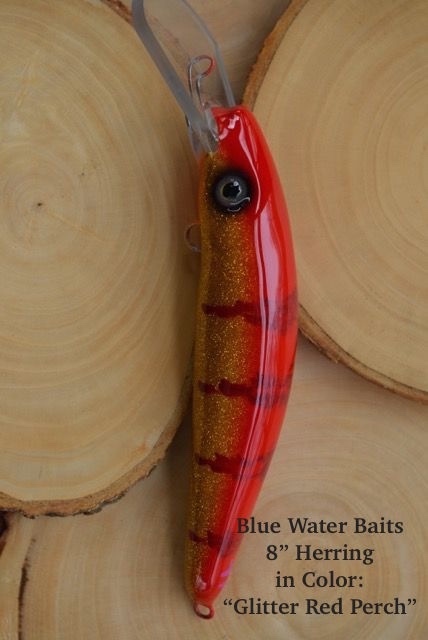 You are bidding on a Custom Blue Water Bait 8" Herring in Color: "Glitter Red Perch"
These are truly a unique Musky crankbait. 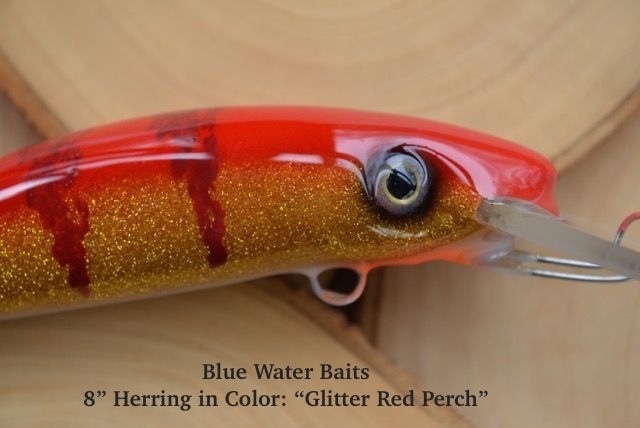 Incredible paint jobs, extremely durable construction, and a unique swim that exerts a certain effortlessness in the water make these a must have for any serious troller. 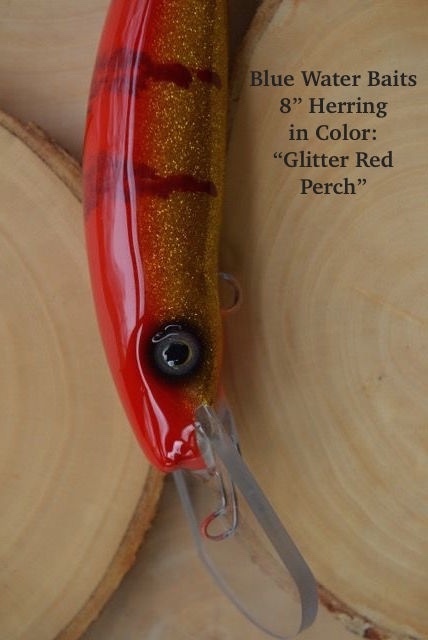 They also have a proven track record for putting jumbo muskies in the boat! 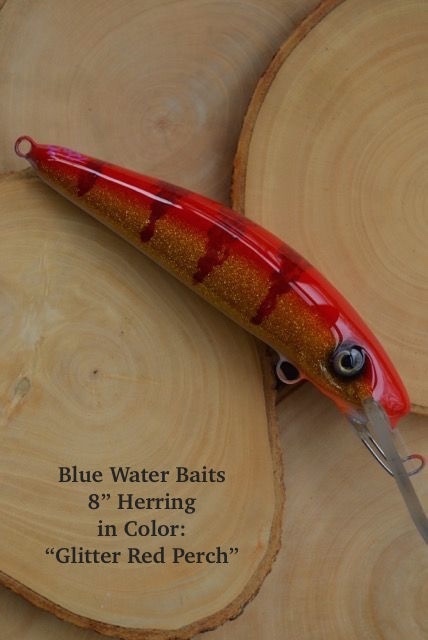 Thank You Lidio and Paul of Blue Water Baits for this awesome donation!